Jen Hitt is a musician in love with yoga, eggs, camping, in-season tomatoes, community, dreams, and cheese. Jen grew up in Gaithersburg, Md., just outside the DC beltway, where she started singing in choir at the age of 4. 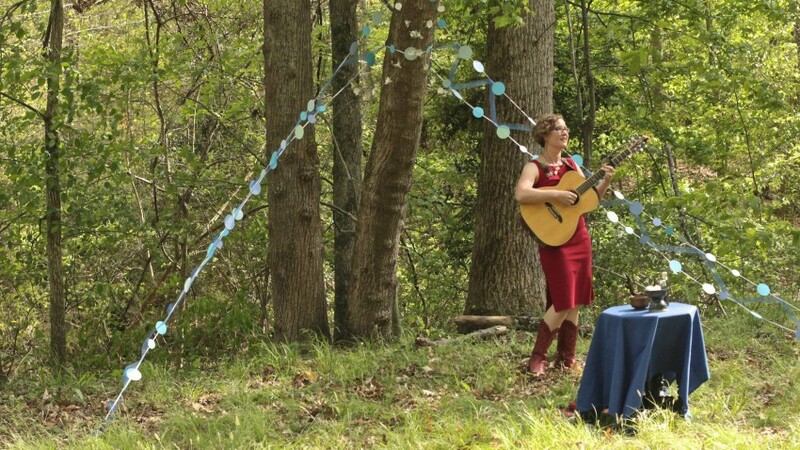 At Rice University she learned to sing opera and studied classical composition, and since she was in Texas, balanced school work with performing in a folk duo: playing guitar and singing with Carolyn Shulman. After college, she worked briefly at the House of Musical Traditions in Takoma Park, Md, learning more about world music and all the instruments that go along with it. She spent several summers as a sound engineer for the Smithsonian Folklife Festival, absorbing all the traditional music the Smithsonian has to offer. Jen received her Masters in Music from University of Miami in Media Writing and Production, where she refined her composing and film scoring skills. She was a radio DJ at KTRU-Houston for 4 years followed by WVUM-Miami for 2 years, then joined WAMU-DC in 2005. Through July 2011, Jen was the Music Content Manager (ie Program Director) for WAMU’s Bluegrass Country. Jen’s radio show, Capital Americana aired on WAMU from 2008-2015. Jen lived in Austin, Texas from 2011 - May 2017, where she performed solo and with ensembles, including the GRAMMY-winning Conspirare. Amphibious Heart is Jen’s most recent release, a full length studio album of original songs, her music can be heard on iTunes, Spotify, Bandcamp, & Soundcloud.